IBM’s Purpose is to be essential to our clients, to the world and one another and we are confident that together as IBMers we will drive this purpose. When you join IBM you join a culture of openness, teamwork, trust, and the invitation and expectation to have a voice. Join us and Do your Best Work Ever. We are recognized gold standard for inclusion, reflected in winning, to name a few, the 2018 Catalyst Award for advancing women in business, the National Award ‘Best Employer of People with Disabilities’ and being named one of the top 5 2018 Top Companies for Women Technologists for building an inclusive workplace — We advocate for fairness and equality as everyone is, and always has been, welcome at IBM. We at IBM Global Business Services (GBS) are a dynamic group of Business, Strategy and Technology professionals – a specific source of best-in-class Industry Consulting, Application and Business process management, supported by the industry’s most sophisticated outcome-based delivery model. All designed to be the Digital Reinvention partner for leading clients across the world – providing value-led and asset-powered end to end solutions. 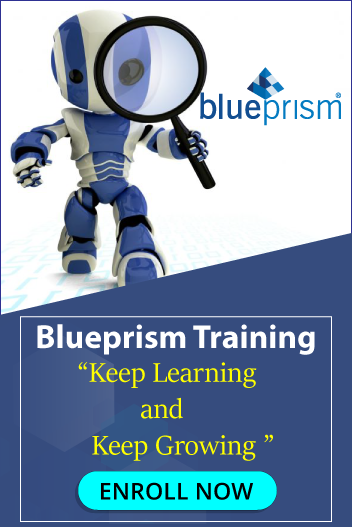 Managing and developing applications using BluePrism. RPA Product Specialist with Technical Deployment Experience in one or more leading RPA technologies (e.g. Blue Prism, Automation Anywhere, UIPath etc).